Mark Keathley's Limited Edition Print " Mountain Thunder "
The snow has finally melted. It is now time to show the newest addition to the herd how the mountains echo with the thunder of hoofs. This is the season for wild horses to proclain ownership of their wonderful domain. 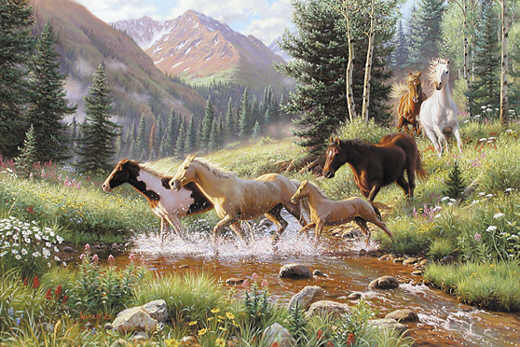 Mark Keathley captures the essence of beauty of the Colorado landscape with his rendition of "Mountain Thunder".